The Salford Red Devils Foundation have completed delivery of a leadership course in partnership with housing company Pendleton Together, through the pioneering ‘Big Hits’ programme. 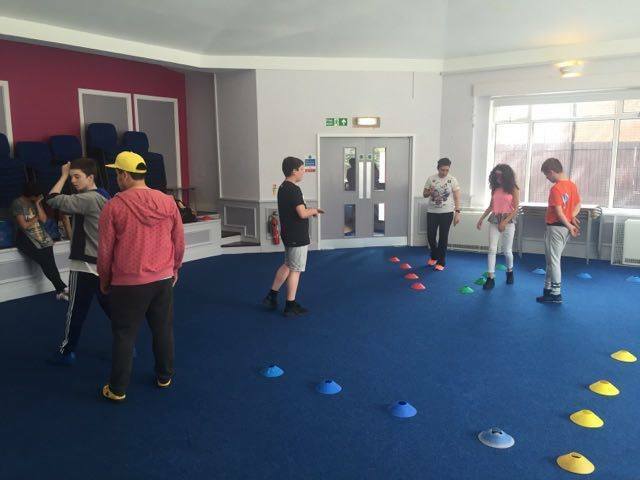 Through the Foundations community staff, the course worked with a group to develop the essentials of leadership skills, working on core principals such as teamwork, communication and problem solving through a series of fun and active games and tasks. Following the success of the course, the Foundation then worked with the group to develop experience in working with children, by hosting an activities day at the AJ Bell Stadium. Big Hits is one of the Foundations major projects, working with people from the age of 14 to aide their personal development and equip them with life skills that will enable the to benefit themselves and their community. Working alongside Newground Together Housing and the Big Lottery Fund, the Big Hits programme has already worked with a large number of people in the Salford and Trafford areas, in a wide variety of different ways, ranging from leadership courses such as this to coaching courses and Match Official courses. “Everyones worked really hard and shown real enthusiasm for the course, and it’s been great to see them develop as the course has developed, culminating in a really positive day at the Stadium, working with some younger children”.